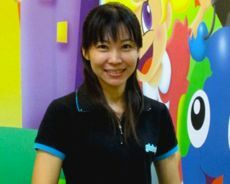 Hi, I’m Teacher Emily from globalart Bandar Sri Damansara and I’ve been with globalart for the past 7 years, though started as an administrator but soon I realized that I wanted to be part of the teaching team and just after 2 months I registered for the VACC training programme. Due to the innovative training programme, it constantly enhances my creative thinking and teaching technique, this gave me great confidence in facilitating my students in their learning. It was a wonderful feeling to be able to see my students improve their confidence, independence and their creative skills and along the way establishing our relationships through understanding and trust. Annually we also gain wonderful moments and experiences when we participate in art competitions at National and International levels, through these events, stories, friendships and cultures are exchanged among participants, parents, instructors and principals. Besides that, I also get the opportunity to travel to different countries. Above all I love teaching in globalart because my students simply brought out the best and happiness in me. Before joining globalart 7 years ago, I was a professional make-up artist. Being an art enthusiast, I took an opportunity to venture out from my specialozed zone and joined globalart as an instructor. 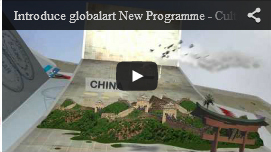 Out of so many art programmes in the market, I must agree that globalart Teaching & Learning methodology is definately one of the most creative, innovative and systematic art programmes I have ever come across. Not only it is effective in enhancing the creativity of our children, the programmes is updated constantly to suit the latest needs of the learners. The fact that the programme is also implemented internationally in various countries is a testiment that this unique programme is universally friendly! During the instructor's teaining session, I pick up a lot of exciting tips and tecniques that will be very useful for me to learn and teach! My understanding about art and benefits that we all can gain fom it has improved tremendously after learning and growing with globalart, besides that I also gain a lot of confidence as an art teacher and as a person. I constantly motivate and encourage my students to believe that everything is achievable if we put our hearts and minds to it. Once you believe, the confidence wilfollow. I cannot imagine a life without art, it would be really boring and also there will be less inventions in the world if art is not present in humankind. My best moment is when my students receive awards in competitions; it makes my day to know that my effort is valued! 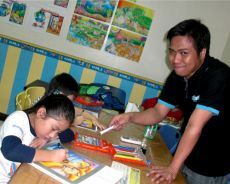 I believe with the passion that I have, I can facilitate and guide children to develop the creative and artistic skills that they need to learn, understand and grow up to be achievers themselves. CopyRight@2012 多乐宝版权所有 Web Design by wincansoftware.